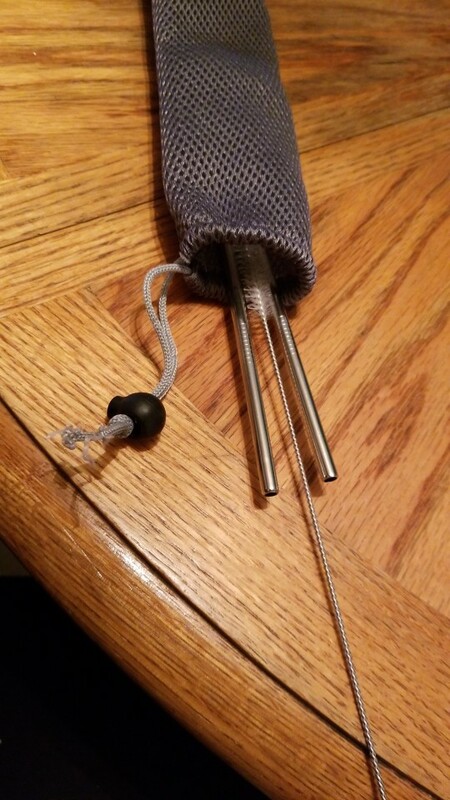 Environmentally friendly reusable straws. 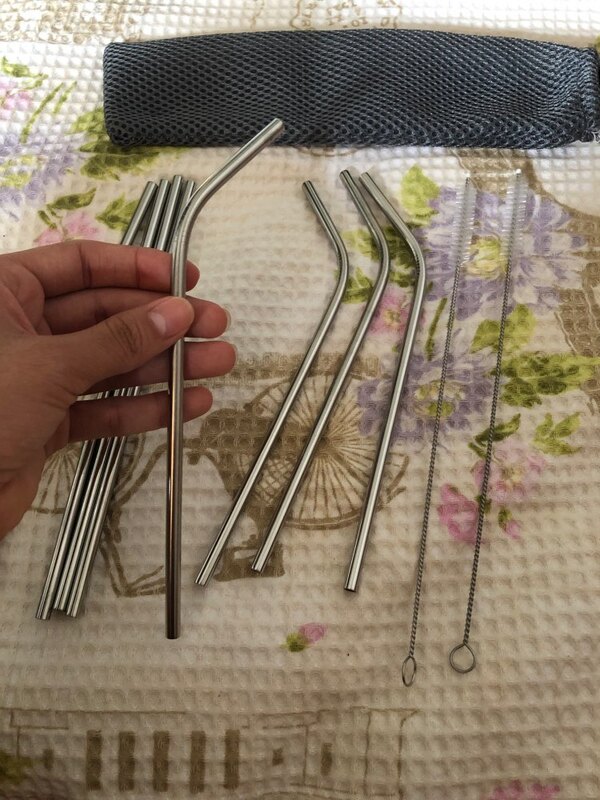 Cut down on plastic waste by having your own fun stainless steel drinking straws. Cleanup is a breeze with 2 included flexible cleaning brushes. 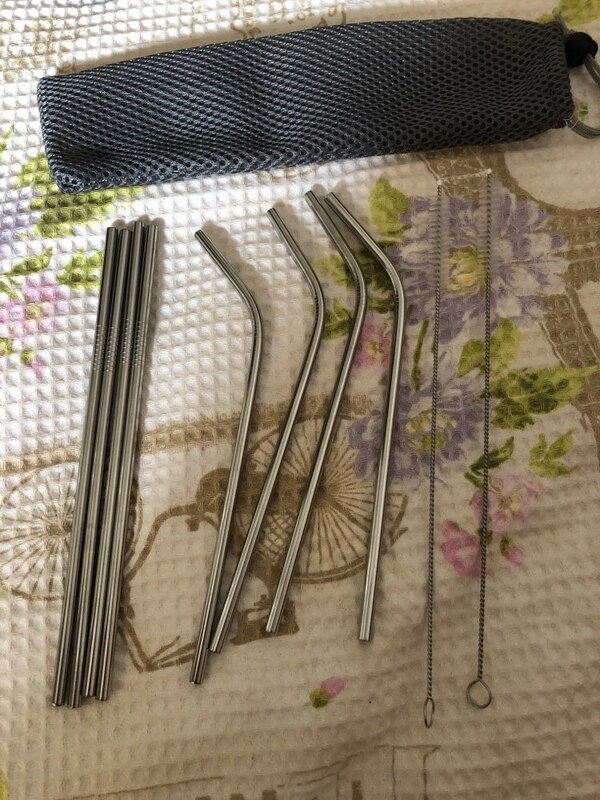 Get a set of 8 stainless steel straws (4 bent and 4 straight), and do your part to fight unnecessary plastic waste. 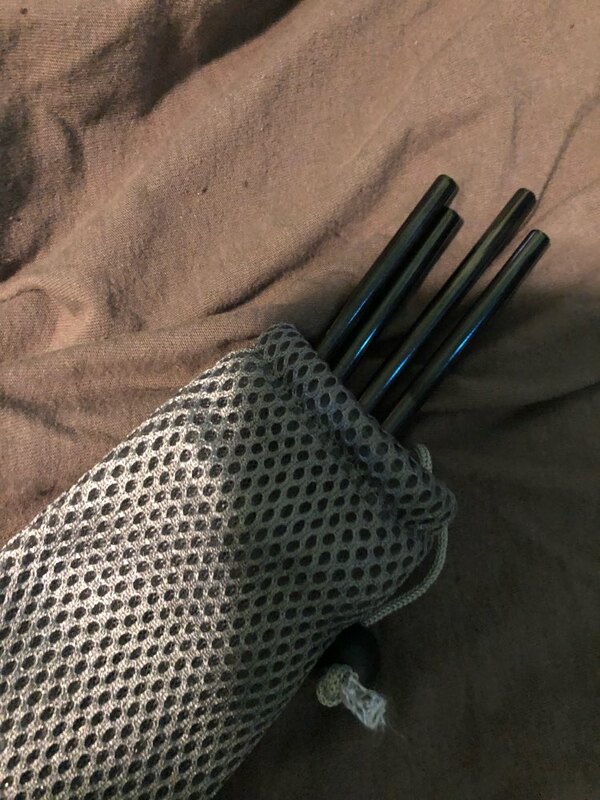 These straws are perfect for on-the-go, cocktail parties, BBQs, picnics, party favors, as well around the house or patio. Dishwasher safe, scratch-free and stain-free. 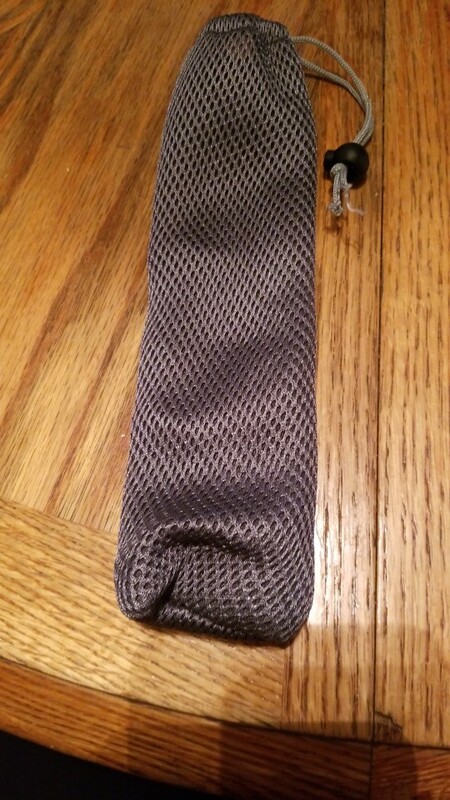 Comes with 2 flexible cleaning brushes, making cleaning as easy as it can get. Treat yourself with a set of metal drinking straws and discover a whole new world of drinking fun. THE order arrived very quickly and was not charged by postal rate. I'm satisfied. 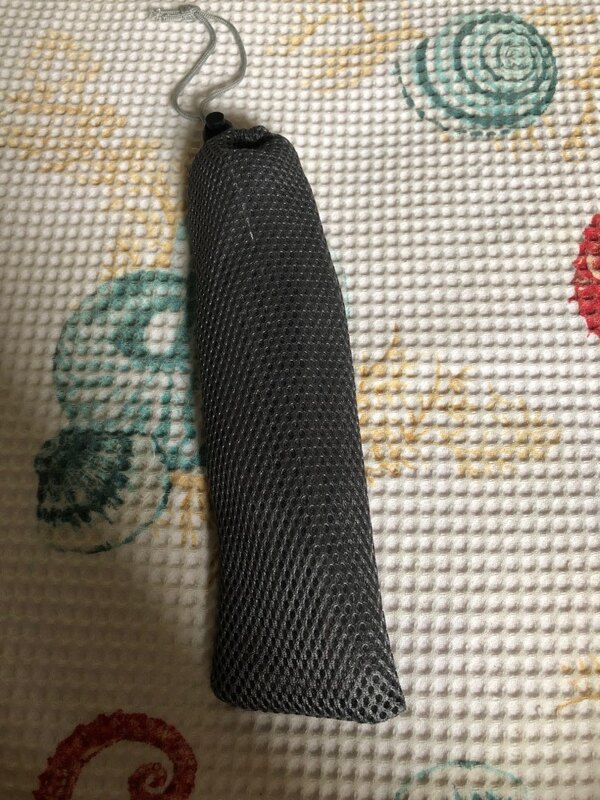 Good quality, arrived quickly! Got these for my husband for when we are out and he needs to get a drink. 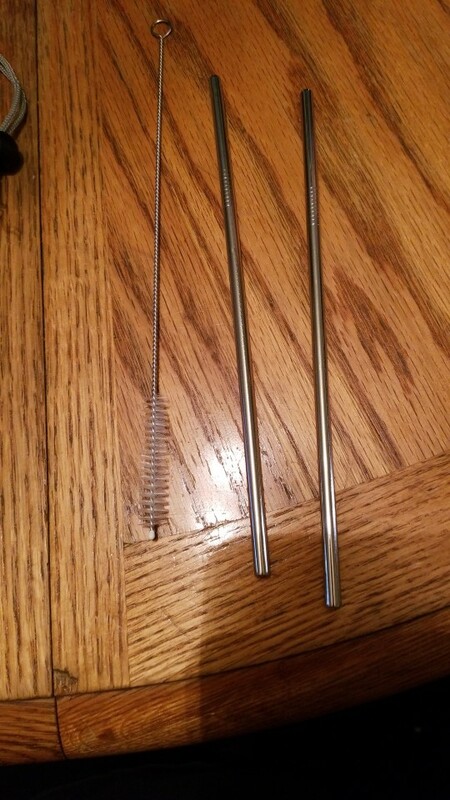 They are nice looking metal straws, love the case they came in and the straw brush. Fast shipping. There were 4 straws but my husband used 2 already so they won't be in picture. They fit a medium drink from McDonald's. Shipped quickly. Product exactly as described.